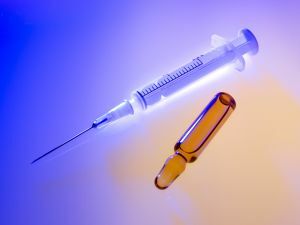 Testosterone replacement therapy (TRT) has become increasingly common over the past decade. In the past, there had been little interest in giving patients testosterone hormones unless they had a relatively rare medical condition known as hypogonadism. This condition involves a patient with an extremely low testosterone count caused by a defective hormone gland and is causing developmental disorders in younger patients. In fact, this was the only medical condition for testosterone hormone was approved by the United States Food and Drug Administration (FDA), and still remains the only approved use. While the vast majority of the millions of men taking testosterone replacement therapy on a regular basis do not suffer from hypogonadism, the reason they can get the drug involves a gray area in FDA regulations that allows a doctor to prescribe a drug for what is known as off-label use. While this is technically allowed, we have seen recent cases where doctors are being fined and subject to discipline for allowed these so-called Low T clinics to prescribe patients testosterone hormone using their respective DEA numbers without them having actually examined the patients. The reason patients were going to these clinics is because is doctors are hesitant to give otherwise healthy men the treatment because commercials tell them that it will cure weight gain, loss of muscle mass, weakened libido, and the other signs of normal male aging. With this background in mind, a reporter from the Toronto Sun was curious as to why doctors don’t want to give patients testosterone replacement therapy. He inquired that since doctors will treat hearing loss in older patients, failing eye sight, and even blocked arteries, which are also conditions of aging, then why is there a problem with testosterone. There are various reasons, as it turns out, for why this is. For starters, it there are FDA-approved treatments for vision problems that can actually correct the problem with very little risk in many cases, and there is a lot of research to support this conclusion. This is also true with hearing loss and arterial disease. There is risk in some of these treatments, and even if is is a severe risk, it is a known risk and there is a known benefit. As our testosterone injury lawyers can explain, doctors and researchers really have no idea what it means to have a low testosterone count and if these medicines will even do anything. Sure they know that taking testosterone replacement hormones can raise one’s testosterone level, but they don’t know if raising the level actually helps correct any of these claimed symptoms of a low testosterone count. They also know for a fact that taking testosterone replacement hormone can lead to an increased risk for stroke and heart attacks. This is a serious risk and no validated benefits so for that reason, combined with a lack of FDA approval, it is not something many doctors are willing to do.